Armchair aerial warriors will want to cinch up their seatbelts for Stephen Coonts's War in the Air: True-Life Accounts of the 20th Century's Most Dramatic Air Battles--by the Men Who Fought Them. 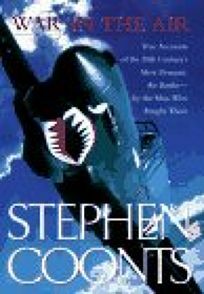 The bestselling novelist (Flight of the Intruder) presents excerpts from 25 classic accounts of combat in the skies (from Frank Elkins's The Heart of a Man, from Ted W. Lawson's Thirty Seconds Over Tokyo, etc. ), as well as one original piece, his own essay on the Vietnam exploits of ""the last American ace,"" Air Force Captain Steve Richie.